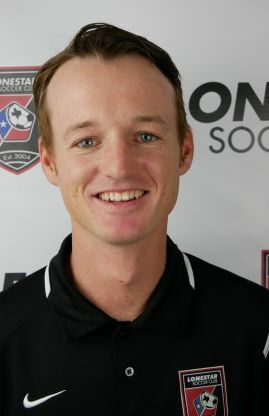 Ross is eager to grow the beautiful game of soccer for younger generations, adding, "Football is the biggest passion in my life. I love working with players and helping them achieve things they never knew they could. My goal is not only to make my players a better football player but also make them better people. There is so much more to the game of football then kicking a ball. The values it teaches will help all players in all aspects of their life as they get older. I am a young energetic coach who loves to work with committed players. I always have my players best interest in mind and it is my goal to get the best out of them both on and off the field. I have a beautiful wife and daughter and I have aspirations of achieving an U.S. Soccer National A License in the future." Staples High School Head Coach - During his two years as head coach he led them to a 23-3-3 record over the two-year span, going undefeated in his second season. Majic Premier Two-time League Champions. Ross worked for Majic for 4 years and he really enjoyed coaching his teams. Many players he coached have gone on to play at the collegiate level all throughout the country. Back to Back league winners with Lonestar 07B DL Blue NTH, going undefeated in the spring. Lonestar Competitive Program Age Group Director (2005B). Full Scholarship to most historic division 2 program in the country Southern Connecticut State University. Lead team in points and instrumental in advancing team to quarterfinal of NCAA. Captained Southern Connecticut State University.